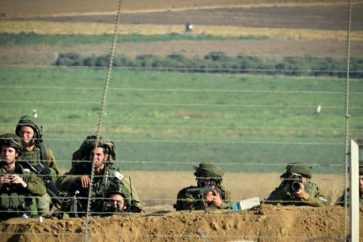 Zionist occupation army continued on Friday its provocative actions along the border between Lebanon and the occupied territories, Al-Manar correspondent reported. 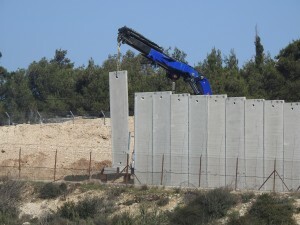 The Israeli Occupation Forces (IOF) went ahead with installation of the cement separating wall created on the largest points that Lebanon reserves on the Blue Line, between Adaisseh and the settlement of Muskifam in the area of Tallat Al-Mahafer. Ten days earlier, Israeli vehicles set up 177 cement blocks in the mentioned area, amid failure of calls with United Nations Interim Force In Lebanon (UNIFIL) to prevent the enemy from assaulting territory considered to be Lebanese. 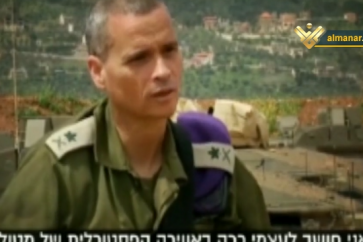 Elsewhere in Hunin-Markaba valley, which lies near the blue line, the Zionist army undertook new construction works. More than five military bulldozers including D9 bulldozer and large trucks worked on expanding the military road, developing rock cars, and lifting earth barriers behind the technical fence under the supervision of the LAF and UNIFIL, our correspondent added.